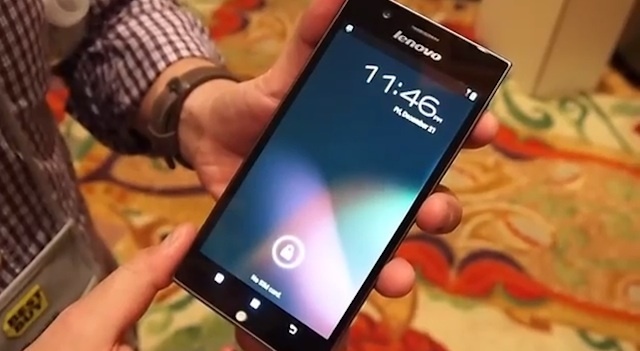 Lenovo is already a dominant PC manufacturer in India and with its decision to branch into the mobile market, it has set out to launch its phone range in the Indian market. The company will launch six smartphones at a New Delhi event on June 5th. The Ideaphone K900 is the first Intel Clover Trail+ based smartphone that will be feature at the event. On June 7th, a Bloggers event will be held at Bangalore where the Lenovo S820 will be unveiled. Lenovo Ideaphone K900 specs include a 2GHz Atom Z2580 Clover Trail+ dual-core processor, 5.5-inch full HD IPS display with Gorilla Glass 2, 2GB RAM, 13-megapixel rear camera, 2-megapixel front camera, 16GB internal storage and Android 4.1.2 Jelly Bean OS. The S820 features a 4.7-inch 720p HD IPS display, 1.2GHz quad-core MediaTek processor, 1GB RAM, 13-megapixel rear camera, 2-megapixel front camera, dual-SIM support, 4GB internal storage with microSD card slot and 2,000 mAh battery.